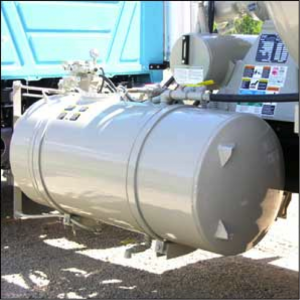 What makes a good water tank? 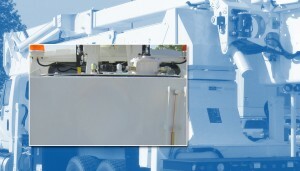 Water Tanks are used on mobile concrete mixers. Most of them are Rated at 60 PSI (which is much higher than a standard tank 3-6 PSI). The water is used to keep the concrete to the correct moisture, and also wash out the chutes and mixer barrel. Seam welded tanks can be made from thinner Material (up to 14 Gauge thick). When the application does not require “Heavy Duty” structure, seam weld is a cheaper option. However, in heavy duty tanks used on concrete mixers, seam welding is not an option. 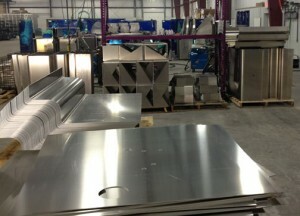 This kind of application demands MIG, TIG or robotic welding. A constant drum speed yields a more consistent concrete mix. Over mixing damages the quality of the concrete by increasing the temperature of the mix, lowering the slump, decreasing air entrainment and decreasing the strength of the concrete. A constant drum speed maintains the center of gravity with a loaded truck for better stability in corners. What material are they fabricating the tanks from? The ideal material would be 10 gauge 414G carbon steel. Do they have a work cell set up for testing at 60 psi? At IFH, the cell is set up with a hydrostatic pump that ranges from 0 to 500 psi. The pressure can be adjusted and set to any requirement that falls within that equipment range. The tank is placed within a containment unit and plugged prior to attaching the pump for testing. The containment allows for full visual acceptance of the part.